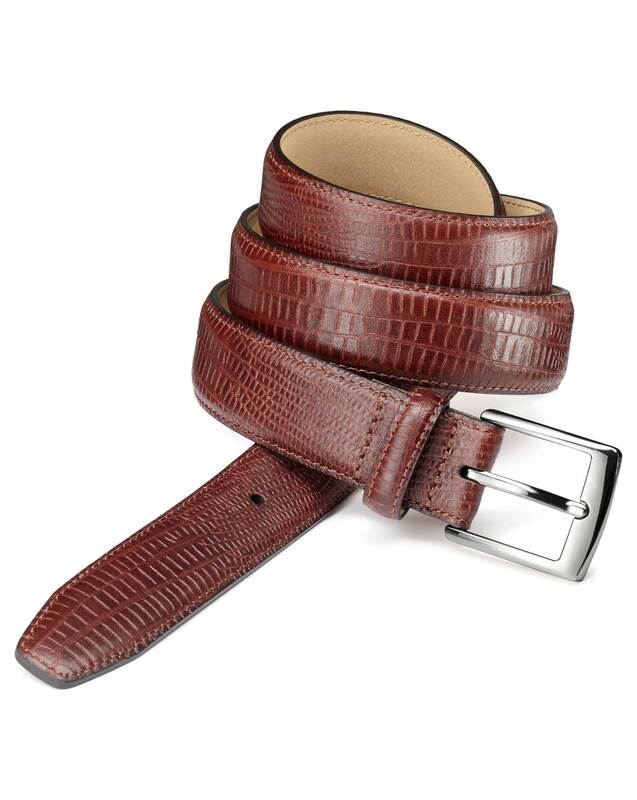 "This sleek embossed belt falls somewhere between 'practical accessory' and 'statement piece'. I call it a business casual show stealer." A beautiful belt but was larger than expected so I’m needing to exchange for a smaller size.